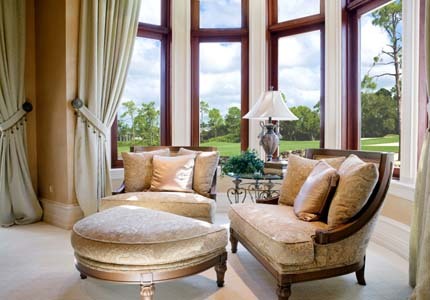 Berkley Window Replacement | Berkley Windows | Berkley Home Window ReplacementMcGlinch & Sons CO.
McGlinch & Sons is known as the top window replacement company. McGlinch is a family owned and operated window replacement company the offers home window repair services at a low price. Since 1917 we have been providing the most comprehensive and affordable home window replacement service to clients throughout the Greater Detroit Metropolitan area and Southern Michigan. We offer wood windows, storm windows and window replacements at reasonable prices. If you live in Berkley and have been considering getting a home window replacement, then contact McGlinch for a free estimate! The city of Berkley is a suburb of Detroit that is located in Oakland County. Currently, Berkley has an estimated population of 14,900 residents and became incorporated in 1932. Homeowners through Berkley rely on McGlinch for our home window replacement services. When it comes to window replacement, you can depend on the experts at McGlinch to take care of everything from start to finish. McGlinch provides thorough installation for all replacement windows, storm windows and wood windows. Get reliable windows installed today from the certified experts at McGlinch. For over 100 years, McGlinch has been providing the most affordable and comprehensive home window replacement services throughout Southern Michigan. McGlinch delivers resilient, dependable and money-saving windows of all shapes and sizes to the citizens of Berkley. Customer satisfaction is our number one priority, and that’s why we have an extensive history of exceeding our client’s expectations. McGlinch has the highest standard of excellence out of all competing home window replacement companies in the area. Let us help you find the windows that are a sure fit for your lifestyle. Get a free home window replacement estimate when you contact McGlinch & Sons!